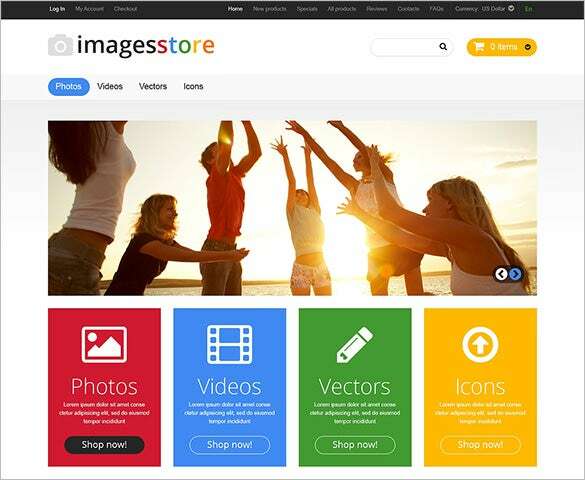 For its open source nature and customizable features, ZenCart Art store themes have become popular among web developers, online shop owners and e-commerce users. Use the free ZenCart templates available for download to make plenty of changes on the preset designs. The high definition images along with the advanced HTML and CSS coding can be used to make the design 100% responsive. 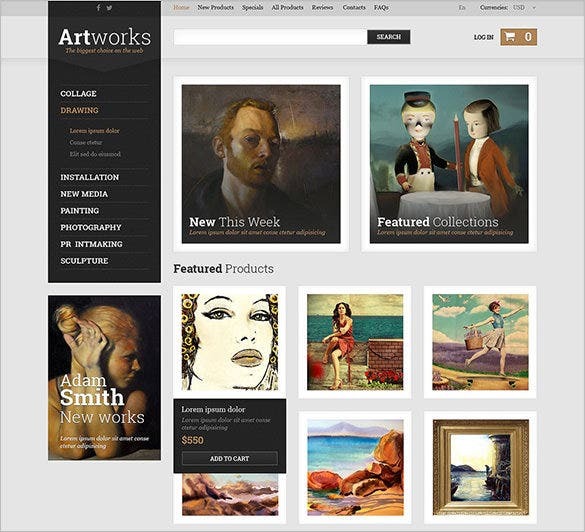 For creating customizable features on a responsive website layout, use the Fantastic Art Store ZenCart Theme $139. Loved by e-commerce users it has advanced HTML and CSS coding options along with personalising fonts and colours. Want to create a premium looking responsive website? 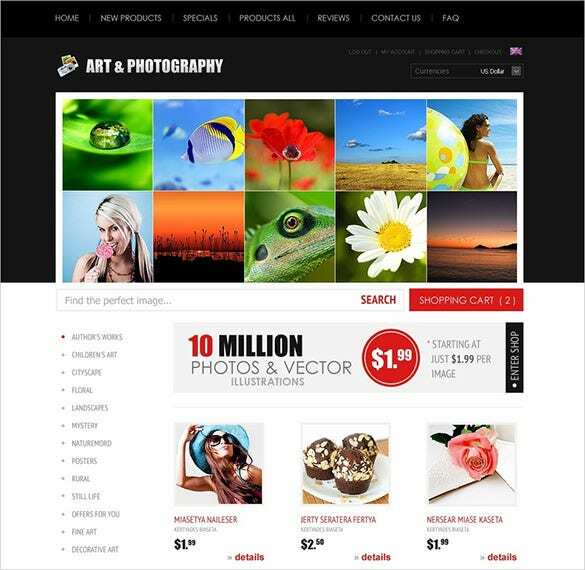 Use Online Art Store ZenCart Template $139 which has preset designs, ready to use high definition images and customisable features to make a modern looking website. 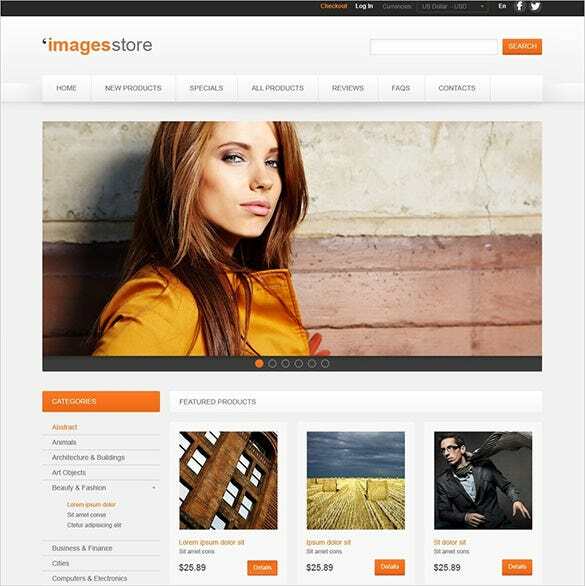 With the Best Art Store ZenCart Template $139, you can have a 100% responsive website and add categories like photos, videos, images, design icons etc. the Visual Composer page builder plugin makes it all the more attractive. 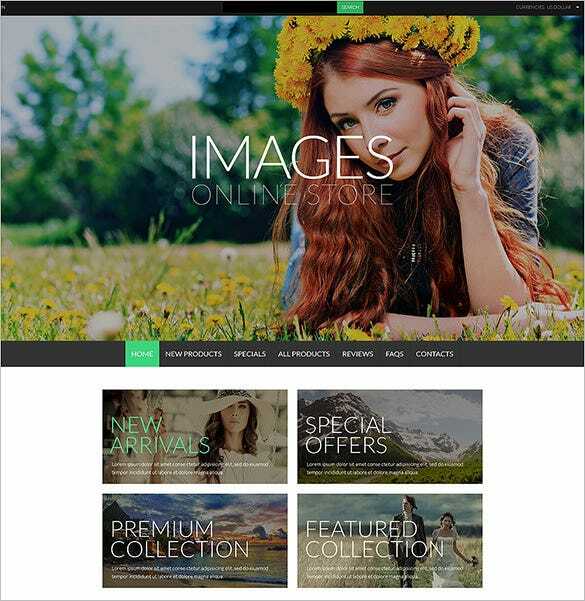 To create a visually attractive website which has ready to use high definition images, Beautiful Art Store ZenCart Template $139 is ideal. Create your own categories and add as many plugins as you want. 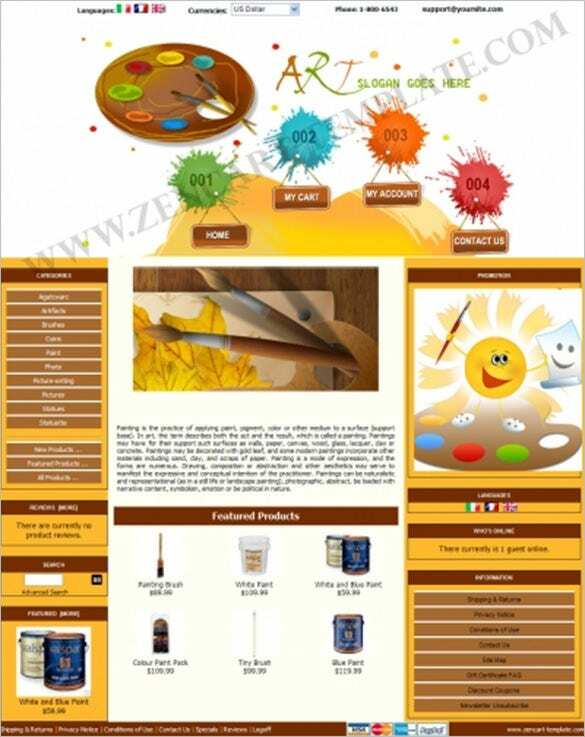 With header presets, plethora of fonts and colours, customised category creation, Premium Art Store ZenCart Theme $139 is ideal to create an attractive website. Advanced HTML and CSS coding help to create a responsive website for users. 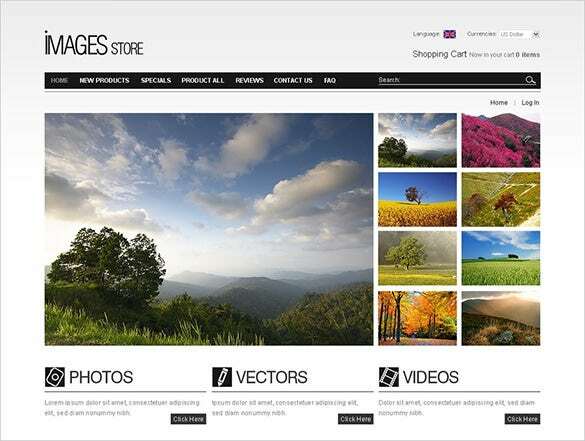 To give your website a sophisticated look, the Elelgant Art Store ZenCart Theme $139 is a perfect option offering easy administrative features. 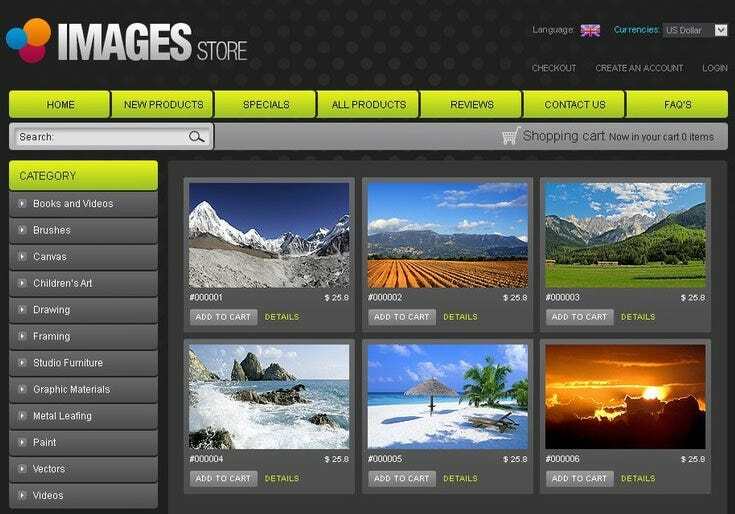 Create as many categories you want along with 100% responsive layout. 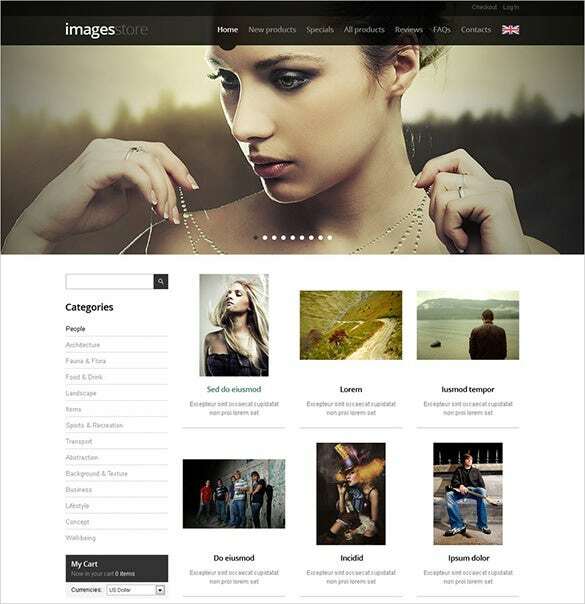 This template is suitable for online stores selling beautiful art works, namely, landscape, photos, cards etc. Sliders showcase images of high resolution. It supports English language only. It is coded using jQuery. It is search engine friendly. It also provides answers to FAQs. This theme comes in a black background. 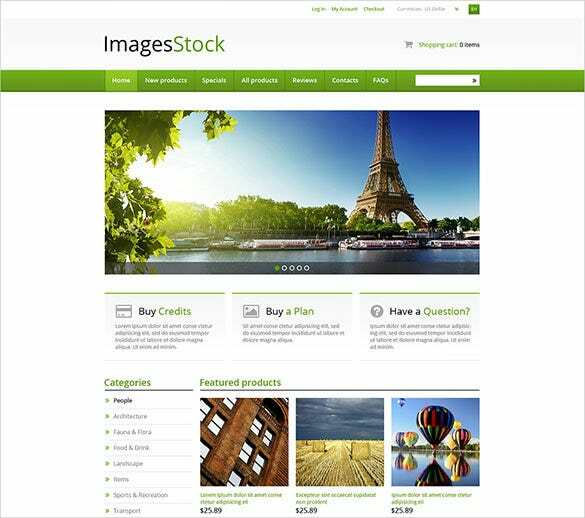 The content area showcases images with a hover effect. Sidebar widgets bring categories of multiple images that help one to search images easily. It is also coded using jQuery. It comes in English language only. This template comes in a white background. Images with contrasting colors, standing against a white background gives a vibrant look to it. Its layout features two columns. It also features Admin Panel. One can create one’s own account using this template. This template comes in white background. This template supports multiple languages. 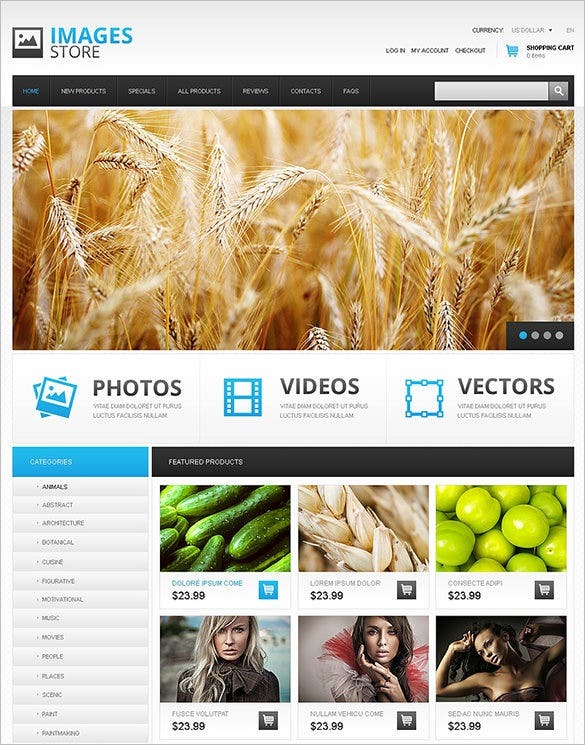 It features Photoshop PSD files, catalog buttons, fonts and some additional banners. One can create one’s own account using this template. This template also supports more than one currency. These features make it user-friendly template. 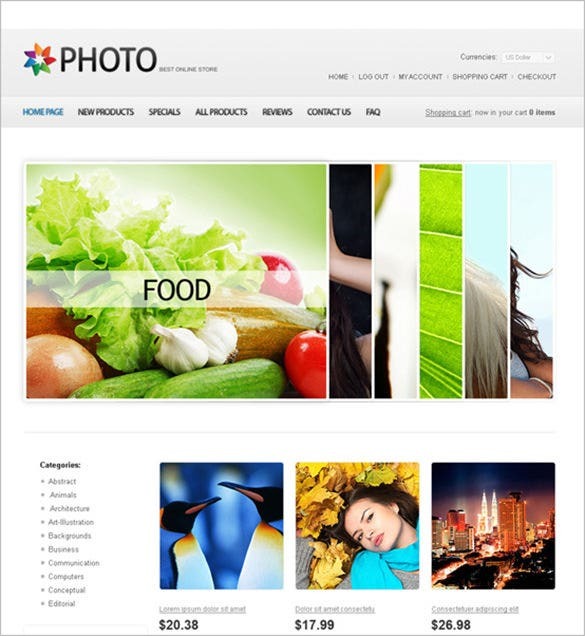 The contents of this theme are shown in a white background and the images are displayed in a black background. It supports many languages. It is suitable for online art stores. The products are sold in multiple currencies. It provides different contact information. The background color of this template is black. The different links titled ‘Home’, ‘New Products’, ‘Specials’, ‘All Products’ etc. stand out in a green background. It has a separate page, answering the FAQs. It supports multiple currencies and comes in English language. The background of this template comes in a combination of two colors, namely, white and grey. One can create one’s own account here. It is search engine friendly. It is coded using jQuery. It features Admin Panel. It has some photos and videos uploaded.